Welcenbach Law Offices and Robert Welcenbach are happy to announce their recent victory in the Wisconsin Supreme Court for Wisconsin patients. They represented a client against a major hospital and its health records provider. Attorneys Scott Borison and J. Craig Jones acted as co-counsel along with Robert Welcenbach for the Plaintiff who brought suit on behalf of all citizens. 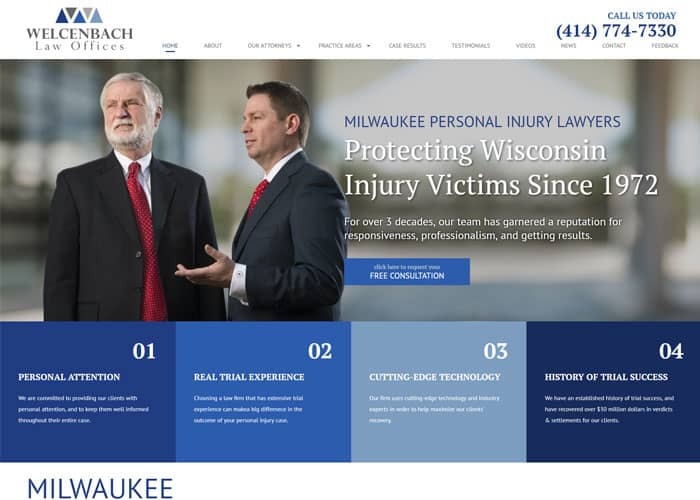 Welcenbach Law Offices brought the class action lawsuit against Healthport Technologies alleging they illegally charged Wisconsin patients to receive certified copies of their own medical records. Welcenbach Law Offices brought the suit after repeated efforts failed to get Healthport to charge the correct fees for obtaining patient medical records. After a long fought battle, the Wisconsin Supreme Court agreed and declared that a patient has the right to authorize any person they choose in writing to obtain their records without being charged certification or retrieval fees. The case now goes back to the trial court on class certification and damages.